Enclosures, Mooresville, NC | G&S Contracting, Inc.
We will build you the enclosures you are looking for to enhance your property in Mooresville, NC. 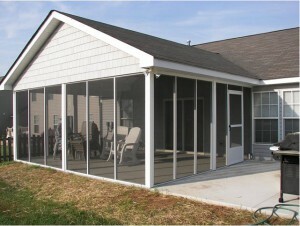 Enclosures in Mooresville – Pool and patio enclosures are a great way to maximize your enjoyment of your outdoor spaces. With an enclosure, you can enjoy your space into the evenings and throughout the year. At G&S Contracting, we are highly rated for customer satisfaction and will build you the enclosures you are looking for to enhance your property. In the construction business, experience counts, and we have 39 years of experience learning about our clients’ needs and how to serve you best. We know quality counts, and we aim to provide the people of Mooresville, NC with quality enclosures that will serve their purpose well and last for years to come.